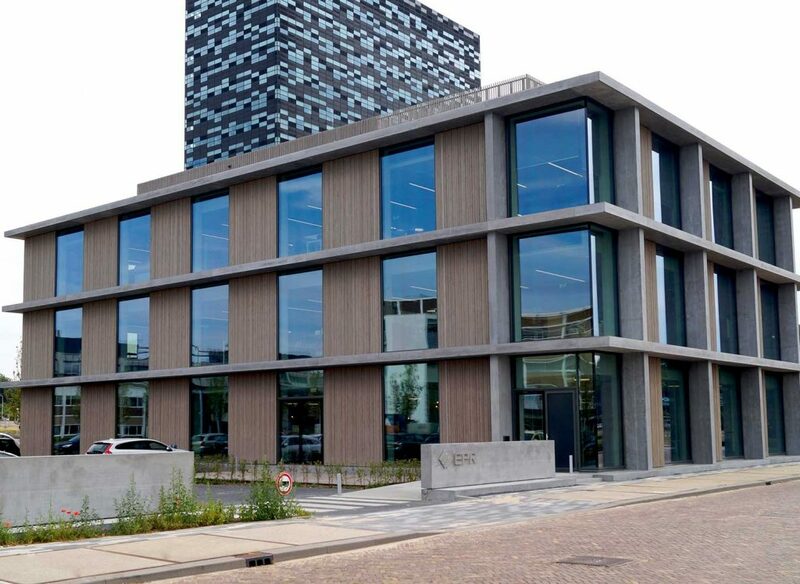 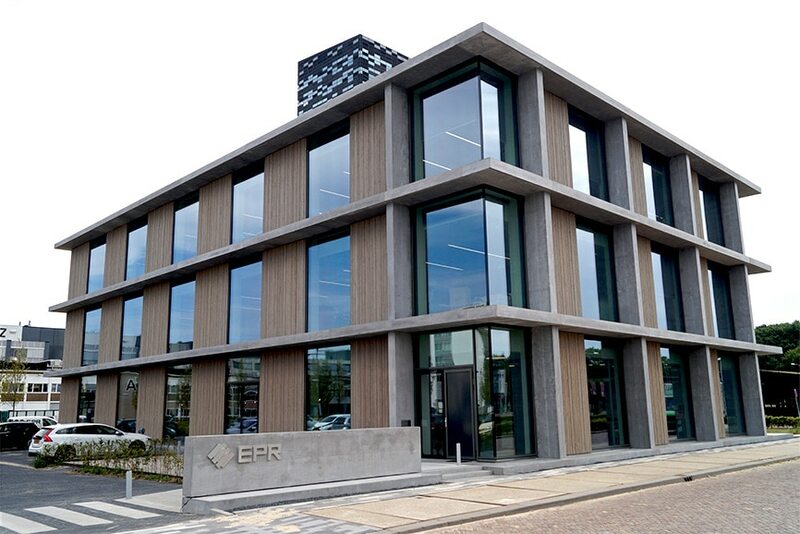 In 2017, the high-tech Dutch company EPR moved to a high-end office environment. 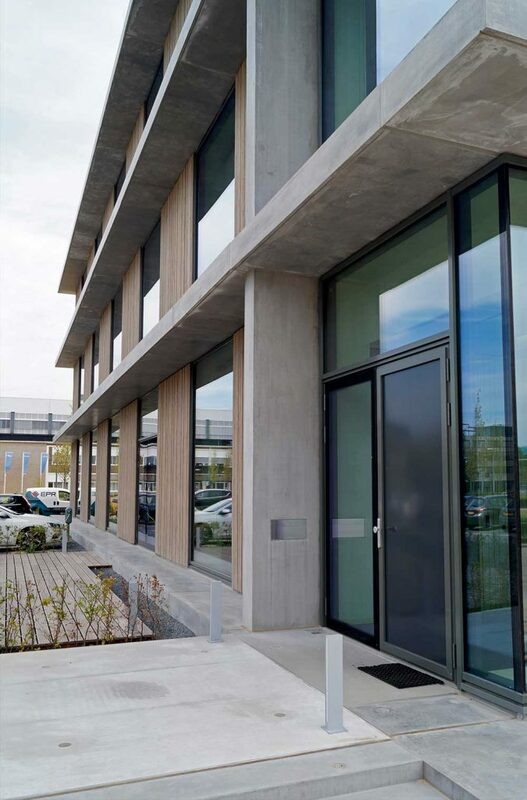 To have the new location match their business and the existing buildings on the Novio Tech Campus, Wiegerinck Architects designed the new premises. 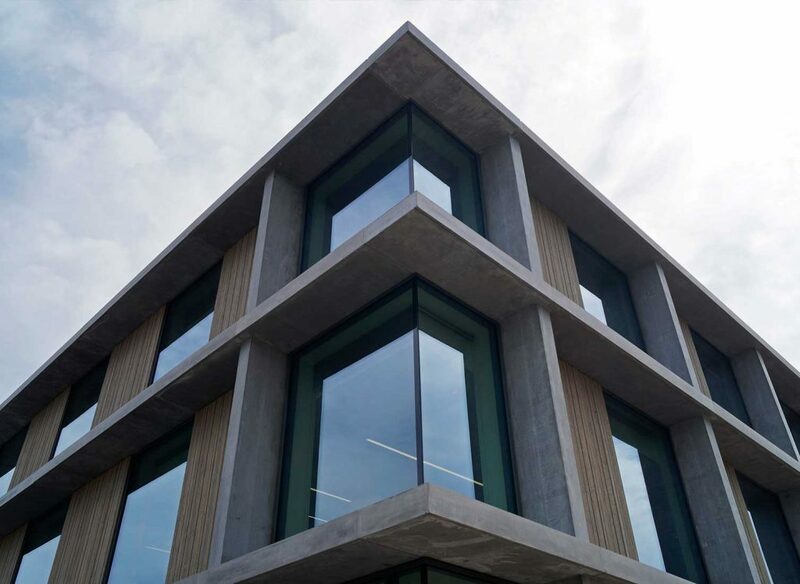 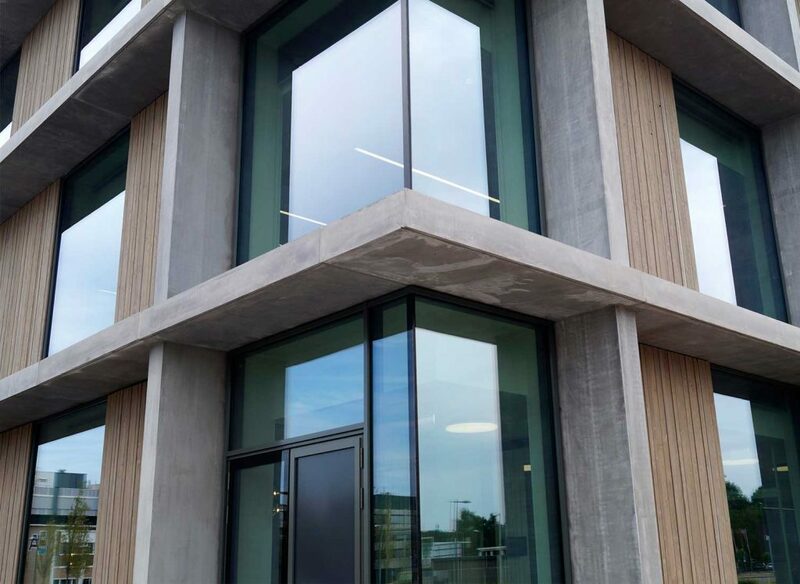 The building is characterized by a transparant structure, that consists of Microbeton’s concrete platforms with glass fronts and vertical timber panels. 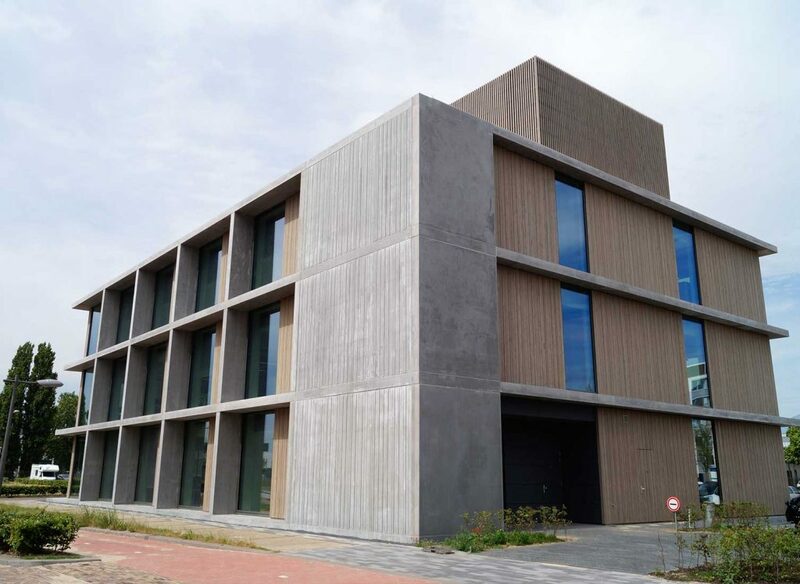 Besides their architectonic value, these platforms also keep away the sun.